In the first of this two-part impact series, learn about a Dominican Republic-based research institute making a worldwide impact on HIV and global health. When the Institute for Tropical Medicine & Global Health at Universidad Iberoamericana (UNIBE) opened 2017, it was only the second dedicated research lab in the university's 35-year history. Since then, the Institute has rapidly expanded—thanks to a solid foundation of start-up support from Seeding Labs. UNIBE received a shipment of Instrumental Access equipment in 2016 to outfit the Institute. It's the first and only research institute in the Dominican Republic dedicated to global health and tropical and infectious diseases. Dr. Paulino-Ramirez described his vision at the 2017 ribbon-cutting: an Institute with a local focus but worldwide impact. His vision has already been realized many times over. Just in the past two years, the Institute opened new research units, tripled the number of faculty investigators, published more than 20 research papers, and launched groundbreaking collaborations. "It would be impossible to have done so many things without the initial equipment." The Dominican Republic and Haiti share one island and together account for about 80% of the Caribbean’s HIV cases. To reduce HIV transmission in the region, Dr. Paulino-Ramirez and colleagues have a strategy that’s supported by funding from the CDC. 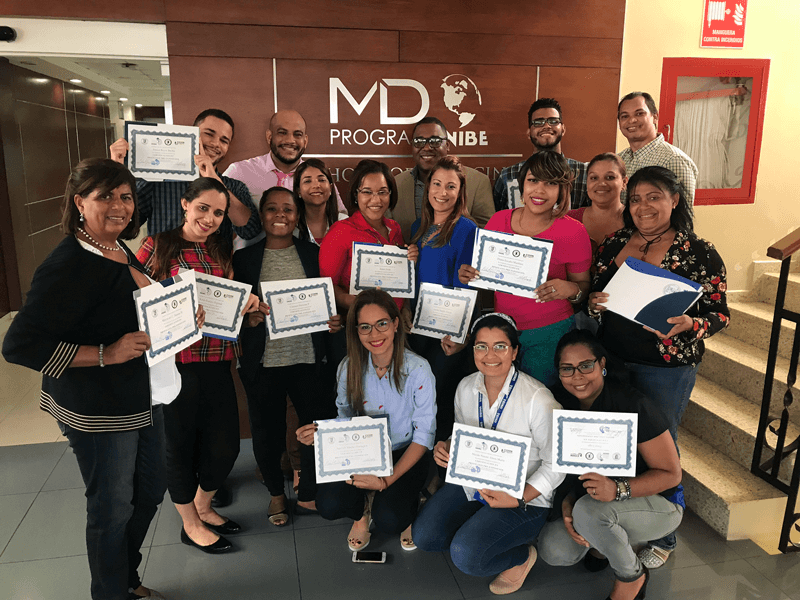 The Institute, along with the Dominican Republic’s Ministry of Public Health and the Centro de Orientación e Investigacion Integral, is leading a clinical trial for pre-exposure prophylaxis implementation, or PrEP. PrEP is a daily pill that people at high risk of HIV can take to prevent infection. It reduces the risk of HIV by more than 99%. With the Institute in the lead, the Dominican Republic is the first Caribbean country to implement PrEP. During the clinical trial, researchers at the Institute will be processing and storing samples from across the country—something that would have been impossible before they received equipment from Seeding Labs. "From the perspective of HIV prevention, [PrEP is] fundamental." Dr. Paulino-Ramirez’s goal now is to scale-up implementation of PrEP across the country by the end of 2019 and set an example for other Caribbean countries to follow. In the meantime, he is expanding knowledge about PrEP implementation by teaching continuing medical education courses for hundreds of physicians and healthcare providers from Latin and South America. PReP course students with their instructor Dr. Paulino-Ramirez (back row, pink shirt) at UNIBE. 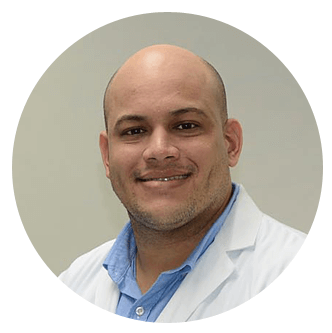 Dr. Paulino-Ramirez's work has helped fortify the Institute’s relationship with the Dominican Republic’s Ministry of Public Health. The Ministry sought his expertise this year when updating the country’s HIV treatment guidelines. Dr. Paulino-Ramirez authored the first national guidelines for PrEP implementation, elevating the university’s role in evidence-based policymaking. "Seeing a university engaging on HIV and guiding the process is quite unique. It's something for us that has a very high value," he says. "The university leadership is excited." 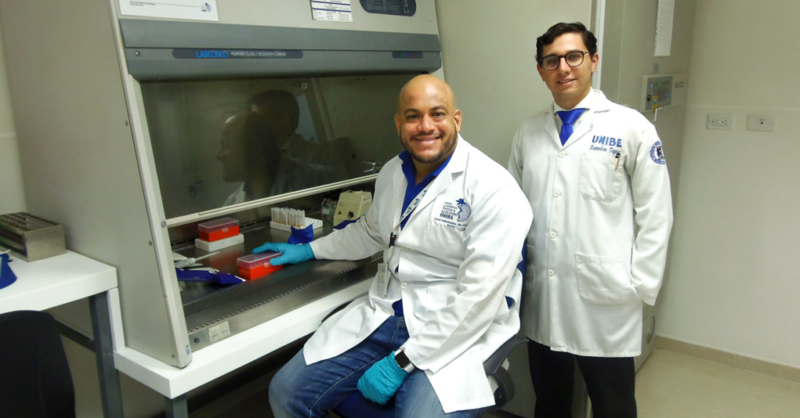 Photo at top: Dr. Robert Paulino-Ramirez, director of the Institute of Tropical Medicine and Global health at UNIBE, working in the Molecular Biology and Virology lab with junior researcher Dr. Leandro Tapia. Up next: In the second part of this impact series, learn about how the Institute is joining the global fight against mosquito-borne diseases. I am so much impressed by achievement of this institute within a space of two months. I always thank Seeding Lab for making it happen. I wish this can be dublicated especially in Africa. How can we do similar projects in Ethiopia? I would love to study microbiota in infectious diseases transmitting mosquitoes and glosina spp. ?